Patients are often told that if they can survive five years after their treatment, it means they are cured of their cancer! What an untruth! My Aunty had cervical cancer and she received all the necessary medical treatments. She survived thirteen years, then the cancer struck back and went to her lungs and she died. Where then is the cure? One lady had breast cancer. She survived for some nine years and when she was about to attend the hospital “Survivors Celebration for Life” gathering she had a swollen arm. The cancer had spread to her brain. She received radiation but could not complete the course. She became a “vegetable” and died. Again – where is the cure? Over the years, we have encountered many cases like the above. Let me present another case for you to contemplate on. A friend gave us your Website. I am a lung cancer patient, diagnosed with Advance Non Small Cell Lung Carcinoma, have been and still going through chemotherapy for more than a year. Last week I had fluid drained from my right lung. My husband and I decided to consult you for treatment. We are from Singapore and do not know how far is your clinic from the airport. How much do you charge for your fee and medication? Do I need to stay at your clinic during the treatment? Reply: Since you are still on chemo and also have been on chemo for that long … I am not sure if you really need my help. If there is still fluid in the lungs, it just means the chemo is useless. But I am not going to ask you to stop what you are doing. It is your choice. My only problem is, the chemo can kill. But when patients take my herbs and die they will blame my herbs not the chemo. Because of that I would rather you finish with all your medical treatments first. And when you have nowhere else to go after that, then come and see me. Thanks for your prompt reply. My last chemo (the 8th Chemo) was on 26th January 2012. After this, 8th February I shall go for PET scan, then on the 9th Feb consult Dr. This 2nd doctor we consulted said he is going to surrender if the tumor continues to grow. After the 4th chemo, the PET scan showed the tumor was growing. The doctor increased the chemo dosage and included Iressa. And I was hospitalised one month later due to very fast heart beat, 251/min, Electrolytes were replaced. The chemo drugs I was given wereTaxotere, Cisplatin and Iressa. As what you said, it is my choice, I find no meaning, here protein and booster jab, there chemo. I will not hold anyone responsible for my life and commit everything to God’s hand. I will make photocopies of my medical results when I get it from the doctor this Thursday. My husband and myself had booked a flight to Penang … we would plead with you whether you could help to see another patient that evening. I am having aching, coughing, body, fingers, toes cramps, head ache and extreme tiredness. This is like an everyday affair after chemo. Thanks for your reply. Appreciate your advice and concern. I was hospitalised on Monday due to fast heart beat. Doctor said electrolytes not balanced. Last night, my heart beat went up again to 240/min. I am not discharged yet so I wouldn’t be going to Penang tomorrow. On 12 February 2012, patient’s husband came to CA Care with details of her medical history. In 1993, patient underwent a hysterectomy for menorrhagia (abnormally heavy and prolonged menstrual period). In 2001, she was diagnosed with breast cancer. A mastectomy was done. Subsequently she underwent 12 cycles of chemotherapy and 25 times of radiation treatment. She also took Tamoxifen for 5 years. In October 2010, patient had a swelling (lymph node) in her neck during a routine medical examination. She was investigated and was confirmed to have a metastatic lung cancer – an adenocarcinoma. From 23 October 2010 to 11 May 2011, patient underwent chemotherapy consisting of Gemcitabine + Carboplatin for 12 treatments. From 3 June 2011 to 10 August 2011, she received 4 cycles of Taxotere. From 12 September 2011 to 12 October 2011, she received 2 cycles of Alimta. From 10 November 2011 to 8 December 2011, she received 4 cyles of Taxotere plus Cisplatin. From 22 December 2011 to 26 January 2012, the dosage of Taxotere plus Cisplatin was increased by 20 percent. She had two cycles of this increased dosage. Since CT showed that the tumour was still growing, patient was given Taxotere + Cisplatin + Iressa for the next 2 cycles. Severe coughs with white phlegm. Pain in the shoulder and neck. When she coughed too hard, her urine flowed out (stress incontinence). This was when the patient wrote to us, “This 2nd doctor we consulted said he is going to surrender if the tumor continues to grow. After the 4th chemo, the PET scan showed the tumor was growing.” According to her husband, she is going to stop chemotherapy. Below is what her latest PET scan showed. In 2001, the patient had breast cancer. She underwent a mastectomy, chemotherapy and radiotherapy. She then took Tamoxifen for 5 years. That basically is all what modern medicine can offer any breast cancer patient. But is she cured? Yes, by the “common medical definition” because she had survived 5 years. But about 9 years later, October 2010, the cancer recurred in a form of a swelling in her neck and this was later confirmed as lung metastasis. Is such story a unique and rare occurrence? No. This happens very often. What has gone wrong? Reflect on the quotations below. The conclusion from this case is – medical treatment did not cure her breast cancer! She got lung cancer after 9 years. So, to say that surviving for 5 years is considered a cure is simply not true. It is another big lie! Or, half truth. And this half truth is dangerous. Misleading statement or advice like this could lead you to your grave. Patients often are overjoyed after hitting the 5-year mark and they are often thrown off guard and become complacent. Most go back to their old lifestyle. Then cancer strikes back! As in the case of this lady and my Aunty. I was curious as to who came out with this idea of “living for five years and you are considered cured”. I searched the internet for a possible answer. This is what I got. From much reading, I have come to understand that numbers and statistics are often sweet and deceptive – they cannot be trusted and must be viewed with skepticism. Scientific data can be and are often massaged and manipulated to make things look good. Patients like to hear “good news.” They are ready to swallow everything when they hear what they want to hear – what more when it comes from “scientists”! What now after the metastasis? In this case, patient was given chemos after chemos – and the combination of cytotoxic drugs changed and changed. In total this patient had 26 cycles of chemotherapy for her lung cancer. Alimta is the “newest” bullet used. But the “heroic” effort failed. The doctor told the patient that he was about to surrender. Patient landed in the hospital. When everything else failed, CA Care comes into the picture! So, that’s the reason why I wrote, My only problem is the chemo can kill. 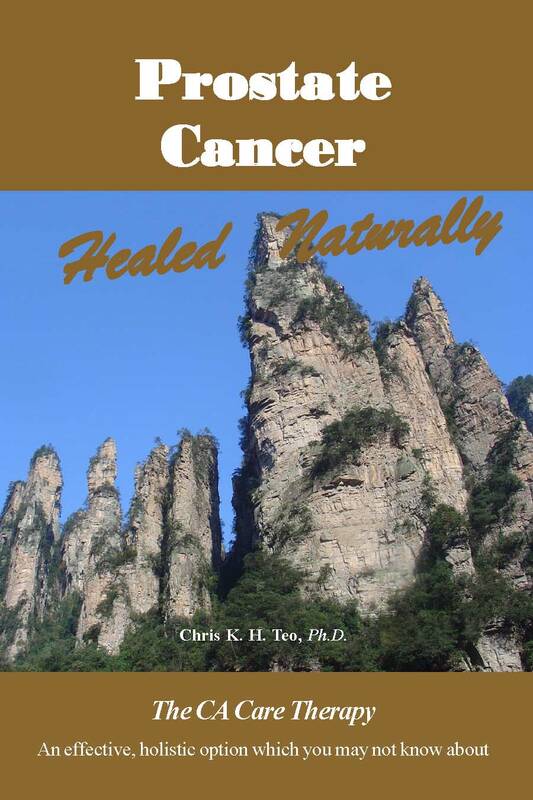 But when patients take my herbs and die they will blame my herbs not the chemo. Reflect on the following quotations.